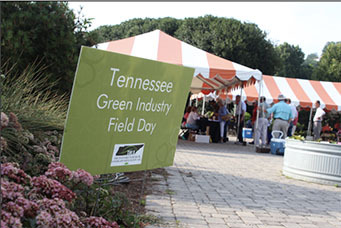 KNOXVILLE – Landscape professionals, growers and nursery suppliers are encouraged to attend the 2018 Tennessee Green Industry Field Day on June 26 in Knoxville. There will be a full day of informational sessions. Attendees will learn from University of Tennessee researchers and industry professionals on a wide range of topics relating to landscapes, pests and more. Morning sessions include these topics: Herbaceous and Woody Plants and Pest Management and Zoysia Turf Care and Pest Management. A soap flush demonstration will be conducted by Amy Fulcher and Bill Klingeman of the UT Department of Plant Sciences. In the afternoon experts will discuss how dicamba effects landscape plants. Discussions of urban soils and nursery potting substrates and managing landscapes to reduce ticks and mosquitoes will also take place. Sessions will be held in the UT Gardens and the Brehm Animal Science Building. Brehm Animal Science will also house an exhibit hall with industry representatives. Registration is $25 before June 18 and includes lunch. After June 18, registration is $30, with lunch offered on a first come, first served basis. Lunch is sponsored by Living Earth with water and ice for the day sponsored by Holden Nursery. You may download the registration form here. Six recertification points are available through this event for pesticide certification holders in categories 3, 10 and 12. For more information about the Tennessee Nursery and Landscape Association, visit www.tnla.com​.